KUALA CANGKOI, Indonesia – Montas spent the first months of her pregnancy at sea, crowded onto a boat with hundreds of other migrants. The passengers had set out to find a better life – perhaps in Malaysia or Australia – but ended up more desperate than ever. The captain abandoned their boat, leaving them stranded on the open ocean. In May, local fishermen off the coast of Lhoksumawe, Indonesia, spotted Montas’s boat, along with a handful of others, also filled to capacity with men, women and children. Unable to ignore the passengers’ pleas for help, the fishermen towed them to safety. They were part of a group of nearly 2,000 ethnic Rohingya and Bangladeshi migrants who, according to data from the United Nations Refugee Agency, ended up in Indonesia after failing to reach Malaysia or Australia. 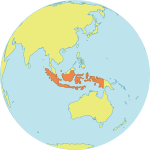 On 20 May, the Government of Indonesia agreed to provide temporary shelter to the refugees for one year. Montas had spent months without proper health care. Now, she was one of 315 Rohingya refugees living in a temporary shelter in Indonesia’s Aceh Province. 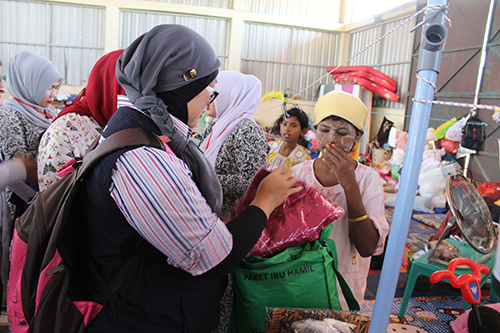 In June, UNFPA visited four of the six camps housing refugees in Aceh to assess their needs. A midwife examined Montas during the trip. “How far along are you?” the midwife asked, making a hand gesture over her abdomen. Silently, Montas raised one hand. “Five months,” confirmed the aid worker. Montas flashed both hands three times. “30?” the midwife asked, imitating the woman’s hand actions. Wiping away her tears, she explained, mostly through hand gestures, that she is alone and that this will be her first child. Although rudimentary, the dialogue helped the midwife gather the basic information needed to assess Montas’s health needs. “We met nine pregnant women on this mission, ranging from the ages of 15 to 30, and they were all at different stages – some were just a few months pregnant, while one young girl was already at eight months,” said Indra Supradewi, of the Indonesian Midwives Association (IBI), which was part of the UNFPA assessment team. 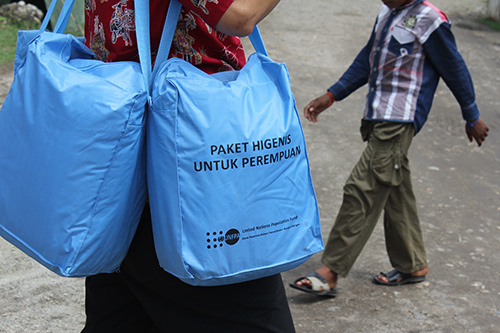 The UNFPA team also distributed clean delivery kits, which contain supplies to facilitate hygienic childbirth in an emergency situation, and dignity kits, which contain essential sanitary supplies for women and girls. Local IBI midwives have been visiting the camps to provide pregnant women and new mothers with vital health services, including antenatal care and post-partum care. “Our priority is to make sure that pregnant women and new mothers are given the right care and receive the necessary check-ups,” said Ms. Supradewi. They are also trying to address the women’s broader needs. “Along with offering counselling services for the women, we have tried to provide them with activities to engage in, such as sewing,” explained Syafrina, a local midwife who has been caring for women at the temporary shelter in Langsa. “We want to open a public kitchen for the women to use so that they can cook food for themselves. We want to empower them and provide specific women-friendly spaces at these camps,” she added.